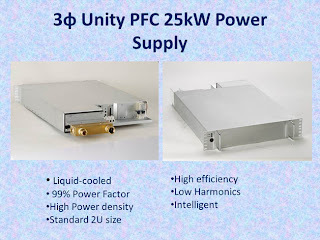 Pioneer Magnetics, Inc. introduces a new liquid cooled power supply, MODEL PM37223-10P. This innovative, highly efficient 3-phase liquid cooled power supply operates from 0ºC to 50ºC with an input range of 365 to 528 VAC. Pioneer Magnetics, Inc. is currently working on projects in a variety of commercial and military applications such as supercomputers, lasers, broadcast transmitters, and radar systems. We would suggest you contact our sales department by calling: 800-269-6426. Visit the liquid cooled power supply section on our website.